A pasta machine is a great tool for making your own clay beads. Learning how to make Fimo beads is useful for anyone interested in creating unique jewelry with a contemporary feel. If you're relatively new to the world of jewelry making, you may find yourself wondering how to identify Fimo beads. Basically, Fimo beads are handmade beads created with polymer clay. This special type of clay, sold under the brand name Fimo, is created from PVC plastic and a plasticizer chemical that keeps the clay moldable and soft until it is cured. Fimo clay is also rather unique in that it can be fired in your home oven and does not need a special kiln. Fimo jewelry is very popular among teens and young adults because the beads are available in a variety of colors and designs. You can find tie-dyed, animal print, and striped beads. Larger Fimo pendants are also available with funky designs such as a sun, moon, flower, peace sign, dove, or unicorn. Polymer clay: If you can't find the Fimo brand of clay, you can also try making your beads from Premo! Sculpey or Sculpey III. Molds: Beginners can simply form circular beads with their hands, but molds are very useful for making decorative Fimo beads. 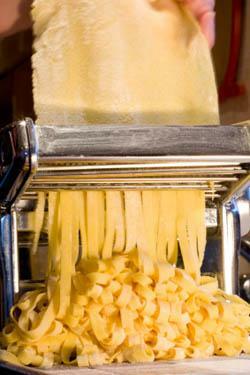 A pasta machine: Turn this kitchen tool into a crafting necessity by using it to flatten and mold your Fimo clay. A knitting or crochet needle: Use this tool to put holes in the beads. An oven: Beads must be fired to make them strong enough to wear. Sandpaper: Use this to remove any rough spots from your beads. Paint and varnish: Decorating your beads is a great way to express your creativity. Prepare the clay. Knead the clay until it is soft and pliable. You'll also want to make sure it is free of any air bubbles. Mix together any custom colors. If you don't want to use your clay as is, mix together two or more colors to create your own shade. Shape the bead. Use molds or your hands to create the shape of your bead. Circular beads are easiest, but Fimo beads can also be made in heart, butterfly, or star shapes for a more intricate appearance. Add a hole to the center of your bead using a knitting or crochet needle. It's generally best to rotate the tool as you push to prevent any discoloration of the clay. Fire your beads. Most types of clay should bake between 250 and 275F for at least 30 minutes. Sand your beads. After your beads have cooled, use fine sandpaper to remove any rough edges. Decorate your beads. Paint the desired design onto your beads. Varnish the beads. Using a varnish made for beading will protect your beads while adding a nice glossy finish. Although many polymer clays have been labeled non-toxic, it's important to be very cautious when allowing children to make Fimo beads. Accidental ingestion of residue on hands after use or inhaled fumes during baking may lead to unsafe levels of exposure to phthalate plasticizers.